Although Texas Hold'em is the most widely played poker game in the world right now there is another game that has been threatening to take its crown of most popular poker variant and that is Omaha poker or Omaha Hold'em as it is sometimes referred to as. 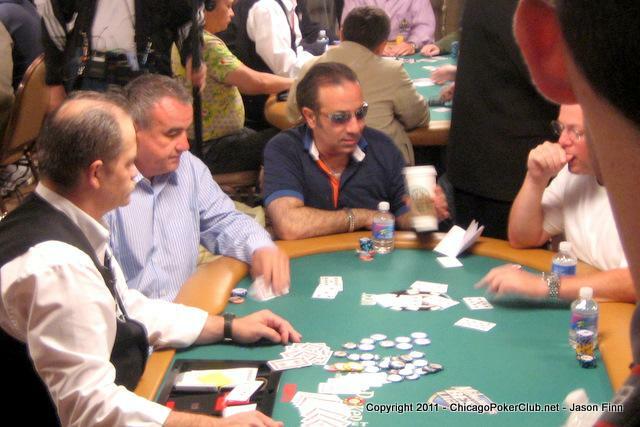 The exact origin of the game, that will feature heavily at WSOP 2011 in one shape or form, is actually unknown but it is accepted that it was first played in a casino environment when a casino executive by the name of Robert Turner showed it to Bill Boyd who then spread it at the Las Vegas Golden Nugget Casino. Since that day it has become one of the most widely played games around, particularly on the internet where short-handed and heads-up Omaha games are extremely popular. By far the most popular variant of Omaha is Omaha-Hi played to a pot-limit betting structure. Pot Limit Omaha, or PLO as it is often abbreviated to, is a game that produces lots of action and therefore the pots are generally much larger than the equivalent Texas Hold'em game, which explains why many top professional poker players play it as their game of choice. Although it has always been popular in online poker circles but it became even more so in 2009 when a then unknown player high stakes player by the name of “Isildur1” quite literally burst onto the online poker scene and began playing the very best in the business at the high variance PLO tables. The player, who we now know to be Sweden's Victor Blom, battled it out against the like of Tom “Durrrr” Dwan, Patrick Antonius and Phil Ivey with spectacular results, which included being involved in not one but two pots that were over $1,000,000 each! Pot-limit Omaha is also a very popular WSOP poker tournament too and last year's $10,000 Pot Limit Omaha World Championship Event attracted 346 players, creating a prize pool of $3,252,400, of which the lion's share of $780,599 was won by Daniel Alaei, another one of the world's top PLO players.